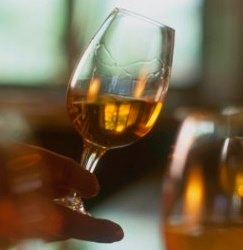 There are over 300,000 varieties of barley, but only a few are suitable for malt whisky production. Check out the results of 51st tasting "Tasting the Classic Speysider." Read all about the six Benromach expressions we tasted. Click to see list of the whiskies tasted by our Society and how we rated them. Whisky and Cigar Pairing - For Members Only! Ready for some exploring? Our 47th Tasting Is All About Exploration! Are you ready for another adventure? Our last tasting took you to distilleries along Scotland's A9, our 47th Tasting promises "To Boldly Go Where No One Has Gone Before." With apologies to Star Trek and Trekkies, our host David D's tasting may have nothing to do with space travel but promises a evening that will feature whiskies from distilleries we have yet to experience. It will be an evening with some great whiskies from distilleries in places you might be surprised by. So mark your calendars for June 16 (a Saturday instead of our usual Sunday in deference to the fathers among us).